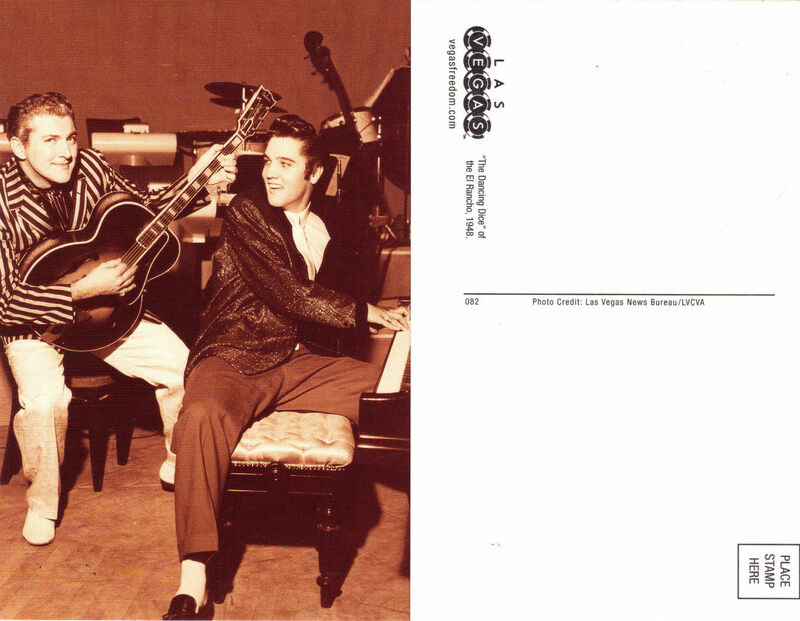 This is a beautiful Black and White Postcard of Liberace and Elvis as they change blazers and musical instruments, 1956 courtesy of Las Vegas News Bureau/LVCVA. Postcard measures 4"x 6" Mint Condition Send email if you need additional details about the postcard. Buyer is responsible for 2.95 shipping to anywhere in the USA. International shipping rates apply. Do check this store for lots more Las Vegas Collectibles often.